Pentek is a brand of Pentair, a water filter and water filter accessories manufacturer based in the USA. Pentair’s brands and products are recognized by water treatment professionals and homeowners as reliable and efficient filters that meet the standards of the Water Quality Association and NSF International. 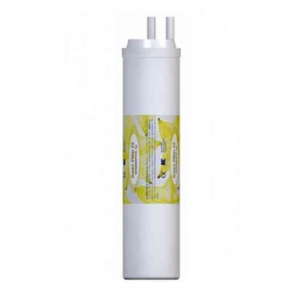 The Pentek 57 LPM UVBB-120-2 UV Whole House Water Filter System is a water sanitising solution for those who draw their water from a well, lake or from other sources that may require treatment with ultraviolet lights in order to eradicate bacteria and viruses. Whether it’s a carbon block filter or a sediment filter that needs replacing, the same rules are applicable – replace the filters at the recommended intervals or whenever the flow rate slows down, whichever comes first. Timely filter replacement will make sure that your water filter system keeps on delivering quality filtered water time and time again. Sediment filters can be used as stand-alone filters in households where the incoming water is high in sediments, or in conjunction with UV water filters or other whole house water treatment systems. 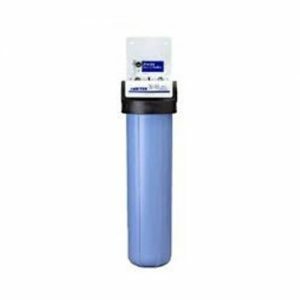 The Ecopure 2.5 x 10 inch Sediment Water Filter System is compatible with other filter systems like the Ecopure Large Fluoride Whole House Water Filter system, and it’s designed for better combined filtration. Water that is high in sediments such as silt, dirt, sand, rust and other suspended solids can be damaging to your kitchen appliances, boilers or water heaters. The appearance of your water can also be influenced by high level of sediments present in your tap water. The central element of any reverse osmosis water filter is the semi-permeable reverse osmosis membrane. Of course, the membrane alone is not sufficient to deal with every and all types of tap water contaminants, which is why most reverse osmosis filters are complex, multi-stage systems that comprise several types of filter media (e.g. activated carbon, ceramics, polypropylene, etc.) to achieve the in-depth filtration reverse osmosis systems are known for. The maintenance of a reverse osmosis filter involves the periodic replacement of the filter cartridges that make up the system along with the replacement of the RO membrane. While replacing the filter cartridges in a reverse osmosis system is a straightforward and simple process, replacing the RO membrane follows a slightly different procedure. 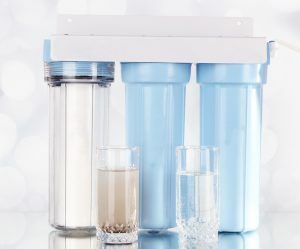 Users of reverse osmosis water filters seldom encounter any problems with these drinking water systems, in fact, they’ll work for many years on end before anything malfunctions. However, you may encounter certain issues with certain models, so it’s always good to be prepared for unforeseen events. Inline water filters are extensively used in under-sink water filter systems, fridges, water coolers, icemakers and other similar applications where a simple and easy fitting filtration solution is needed. Inline filters are an equally great fit for filtering bathing water as they can be easily attached to your shower hose in a matter of seconds. 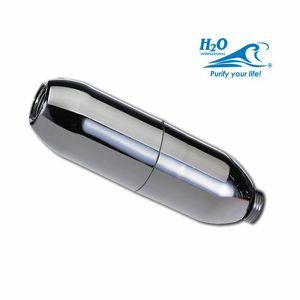 The H2O Inline Shower Filter SHH-IL-CP is a durable, high quality shower filter that provides a thorough filtration making sure your showering time is a truly pampering experience. Showering in water that is laden with chemicals is neither desirable nor healthy. Chemicals can irritate your skin, dry your hair, and generally wash down the natural protective oils produced by your skin and hair. Water that contains chlorine and other chemicals is even more dangerous for babies and those suffering from various skin diseases like eczema. Amidst growing concerns regarding climate change, measures to curb its effects are becoming more and more urgent. 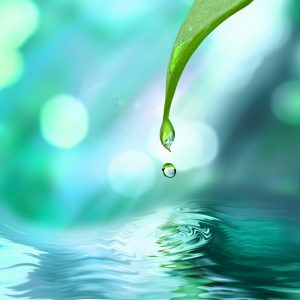 Extensive droughts, widespread water pollution and freshwater scarcity are powerful arguments for implementing effective water conservation measures and opt for water treatment solutions that are less of a strain on the environment. While carbon dioxide emissions due to the burning of fossil fuels and methane emissions due to agriculture and farming along with deforestation are the primary causes for global warming, plastic waste pollution and chemical pollution are the primary causes of water pollution that endangers not only the wildlife that lives in these pollution-stricken areas, but it also puts humans at a risk. In this context, shifting to water filtration as an alternative to bottled water consumption is demanded by the urgency of minimizing the environmental impacts of the bottled water industry. Water filtration may be a solution that could help reduce plastic waste caused by using bottled water as a primary source of drinking water. In-line filters are an interesting twist on under-sink water filters – they are installed on a mains cold water line, filtering all the incoming cold water. Since they are installed in-line, they don’t need a separate tap for filtered water, allowing you to keep your existing tap. Another advantage of these types of filters is that they have several other applications apart from being used as an under-sink filter. 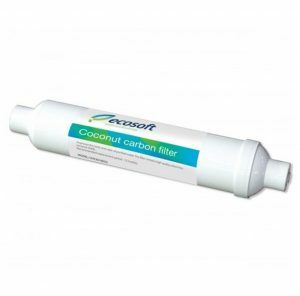 The Ecosoft AICRO In-line filter can be used as a fridge filter for American style fridges, for water coolers, caravans, motor homes, boats, and ice makers. Ecosoft is a manufacturer of various water treatment solutions such as point-of-use water filtration systems, reverse osmosis filters, water filter jugs, and water softener systems. The AICRO model was created to be used in a wide range of applications. The filter media contained by this filter targets chemical contaminants in particular, all the while removing unpleasant tastes and odours caused by chemicals and organic materials. How often should I replace my water filter cartridge? Water filter maintenance ensures that your water filter operates at peak performance and that the filtered water it produces is of dependable quality. 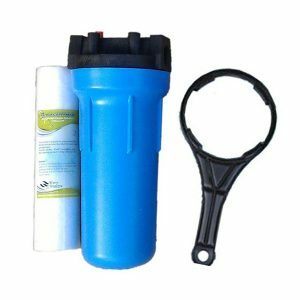 Water filter cartridges are responsible for the brunt work of filtering the water that passes through your filter system, therefore, they are the single most important element of your filter system. Because with time they get saturated with contaminants, they have to be replaced periodically. Filter replacement involves purchasing a filter cartridge compatible with your system, discarding the old cartridge, and installing the new one. With most filters, replacement is easy to carry out, and it doesn’t require the assistance of a plumber. But how often should you replace your filters? And what happens if you forget to replace them? Should I bathe my baby in tap water? When it comes to preparing baby formula with tap water or giving babies tap water to drink, the general consensus is that you shouldn’t use tap water for neither of these purposes, or if you do decide to use tap water, make sure you boil it or filter it to remove contaminants. Using filtered water to prepare baby formula is a safer alternative to both regular tap water and even bottled water. But what about bathing? Should you bathe your baby in tap water? Or should you take the same precautions you take with your baby’s drinking water? The answer to this question depends on where you pull your water from and whether your water contains contaminants that may irritate the skin of your baby or cause rashes. Apart from chemical contaminants that may cause irritations, hard water problems can also cause skin discomforts. 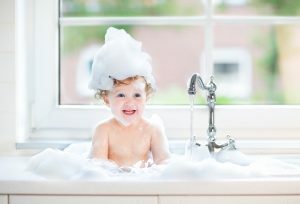 So what can you do to make your tap water more soft and less irritating for your baby’s skin? 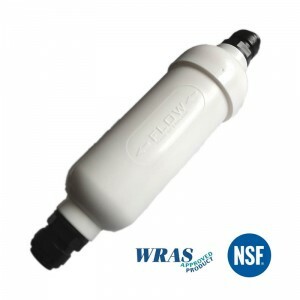 Inline water filters are a simplified version of under-sink water filters and can be used for the filtration of water in low flow environments such as refrigerators, icemakers, water coolers, caravans or on a cold mains water line, or even as part of a reverse osmosis filter system. Compared to traditional under-sink water filters, inline water filters allow you to keep your existing kitchen tap, filtering all the cold water at the point of used it’s installed at. 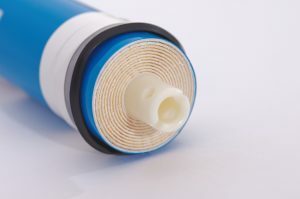 Just like the filter media in any other filter cartridge, the filter media in inline water filters gets saturated with contaminants after prolonged use, and therefore, the filter needs to be replaced so it can efficiently remove contaminants again. Both the installation and replacement of an inline filter requires a little plumbing work, but it’s a task you can easily carry out yourself. 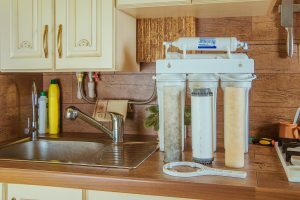 In this article, we’re going to guide you step by step through the replacement process of an inline water filter.